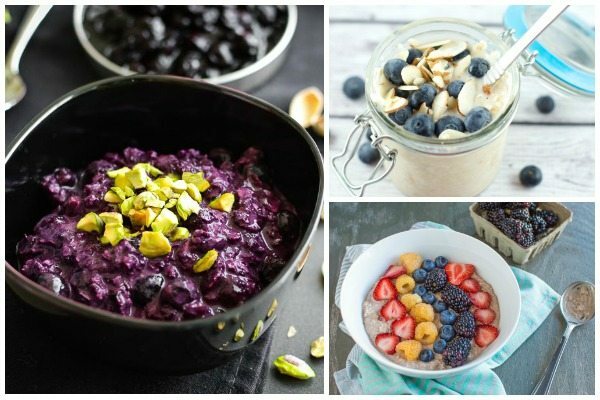 Want a delicious, healthy breakfast without all the fuss? 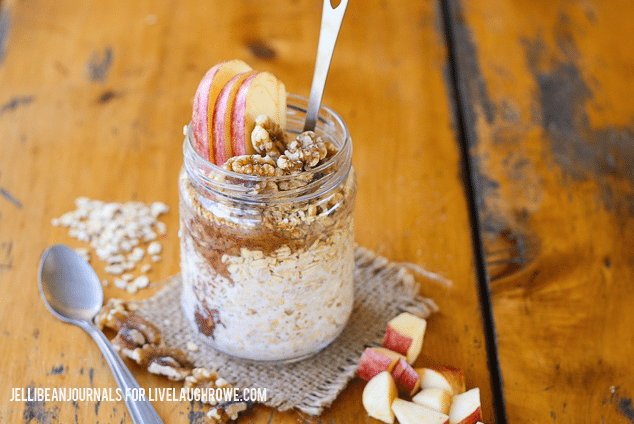 Overnight oats are the answer to your problems! 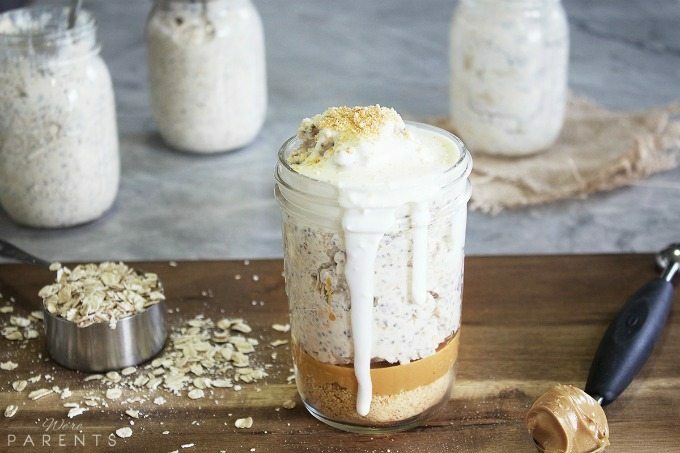 And with 15 easy overnight oats recipes, you’ll never be bored with breakfast again. I don’t know about you, but I’m not a morning person. With kids, though, you absolutely have to get up early in the mornings to start your day. And when it comes to breakfast, I’ll be honest and say that a lot of mornings are cereal, Poptarts or muffins. I just can’t pull it together to cook for breakfast except on weekends. The good news is that I don’t have to. 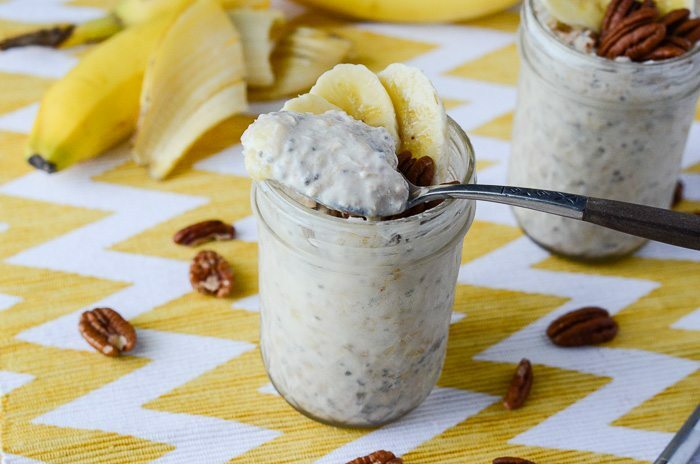 With overnight oats, you put everything together the night before, set it, and forget it. It’s really that easy. 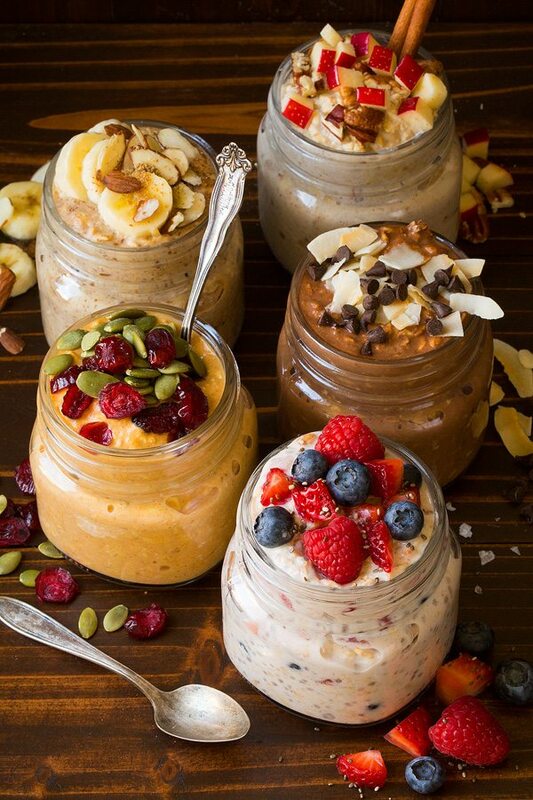 Most overnight oats recipes start with rolled oats mixed with soy, almond or cow’s milk. You can then add fruit, nuts, yogurt, seeds or other ingredients. It all goes into a mason jar and sits in the refrigerator overnight. 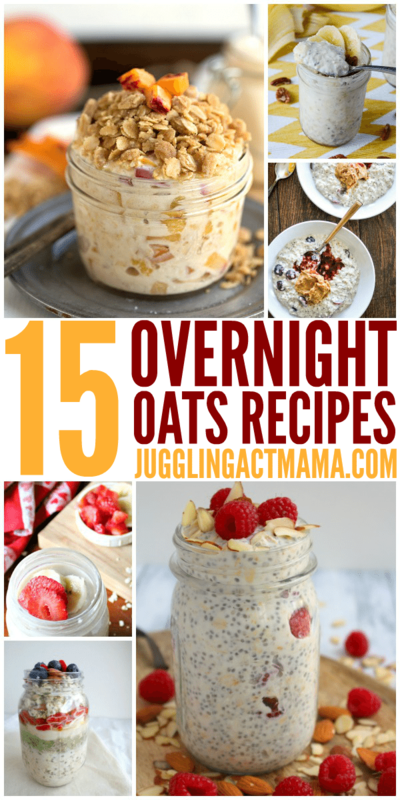 Some of the overnight oats recipes require no cooking at all, while some just sit in the slow cooker overnight. Either way, that’s way easier than trying to play chef before I’ve had my first cup of coffee. A delicious breakfast that essentially makes itself overnight? Yes, please. Sign me up!! Put 1/2 cup rolled oats into the bottom of a mason jar. Pour 1 cup milk (soy, almond, etc) over the oats. Stir in 1 teaspoon ground cinnamon and 1 teaspoon vanilla extract. Mix in 1-2 teaspoons honey, agave or other sweetener. Tightly seal the jar and place into the refrigerator overnight. In the morning you can add other toppings such as fresh fruit, nuts, seeds, coconut or yogurt. 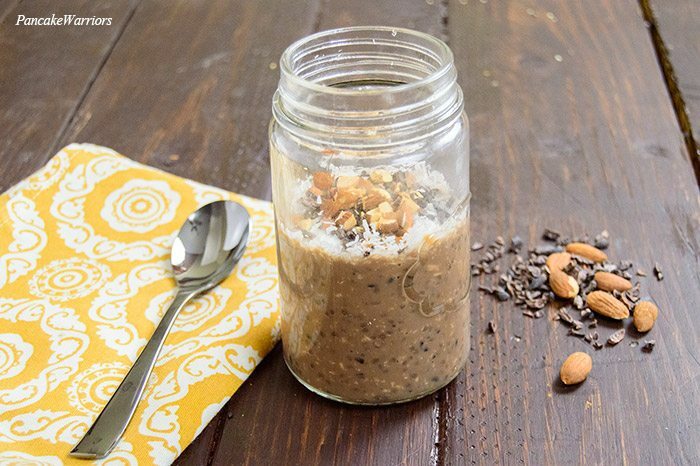 Can You Make Overnight Oats Without Milk? 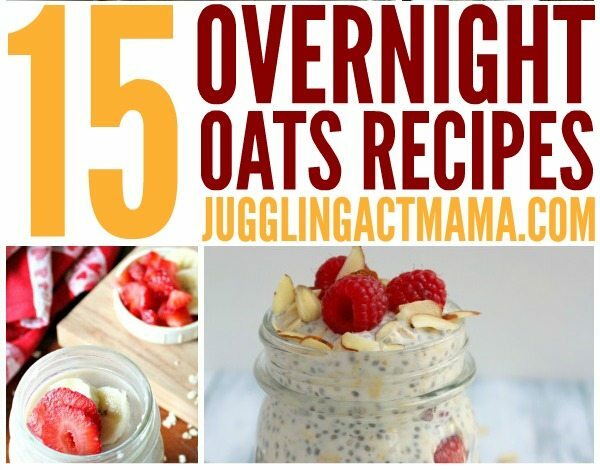 Here are some of our favorite overnight oats recipes that I think you’ll love too! 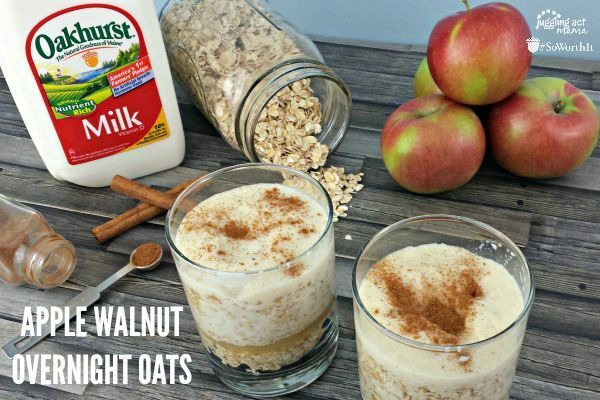 Old fashioned rolled oats work best in overnight oats recipes. Let the oats soak for at least 4 hours to become creamy and delicious. Lastly, add the toppings in the morning just before eating. 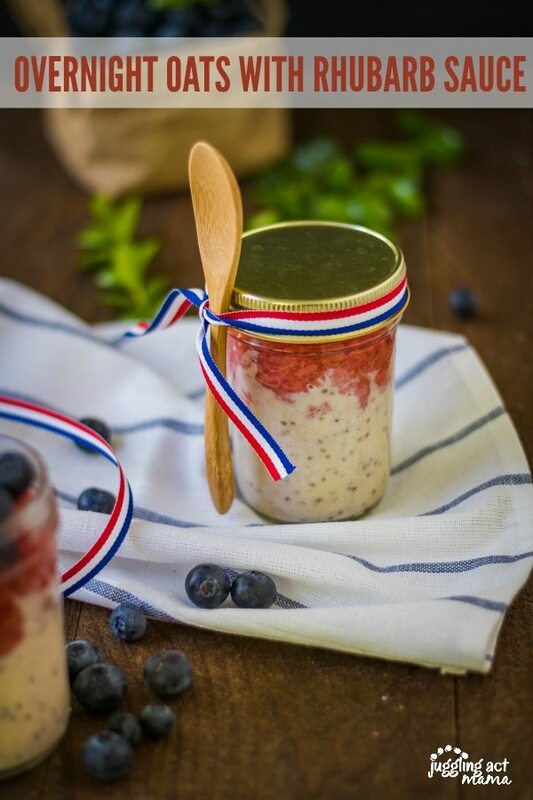 Do you make overnight oats in the refrigerator or the slow cooker? What are your favorite fruit or spice combinations?